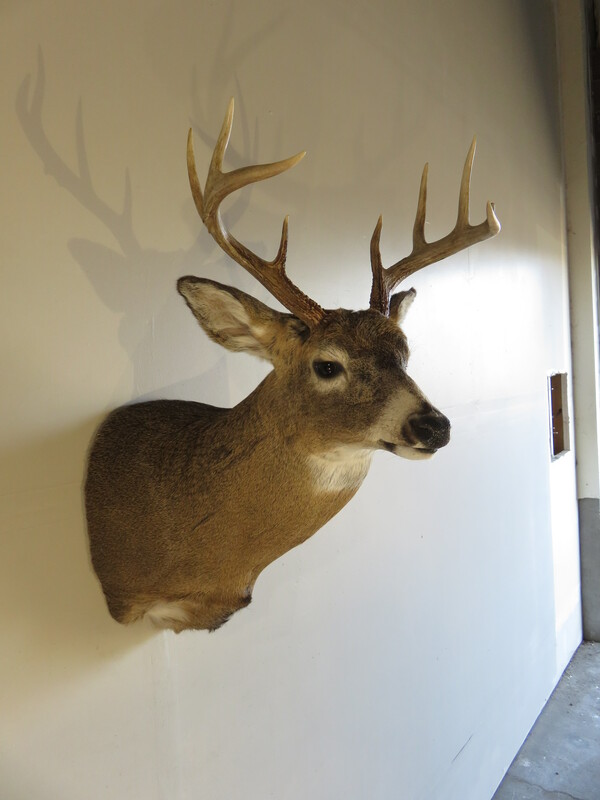 Here is a Whitetail buck shoulder mount in the head forward, looking right. 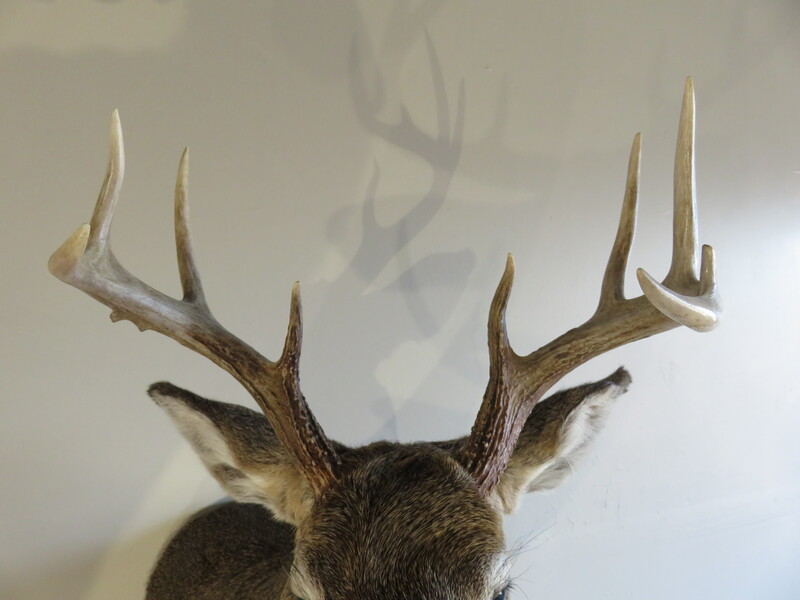 He has a nice rack that is 16 1/2″ wide and has 9 points (Eastern count) 4×5. 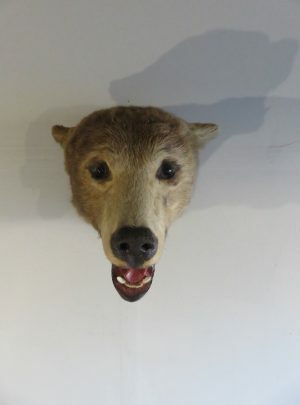 (See attached photos). 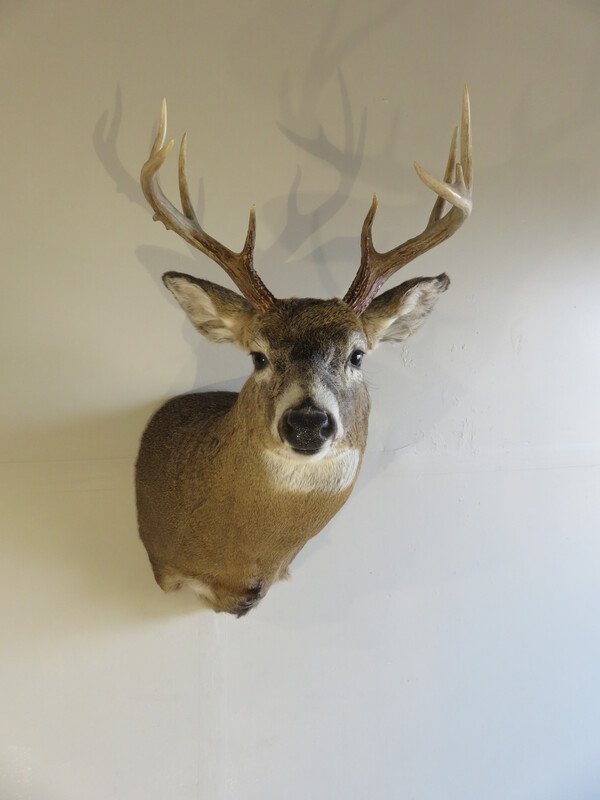 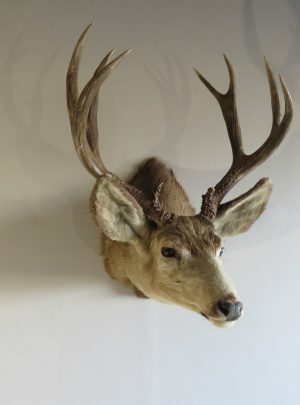 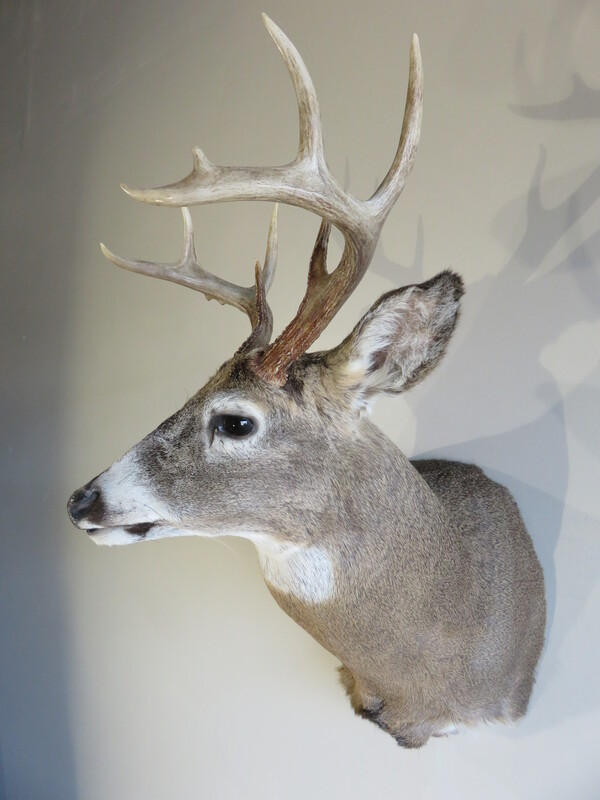 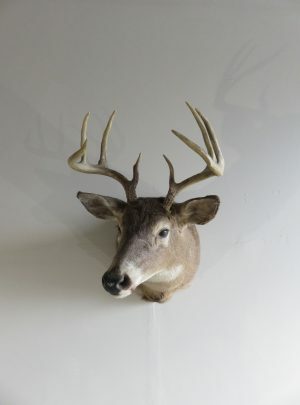 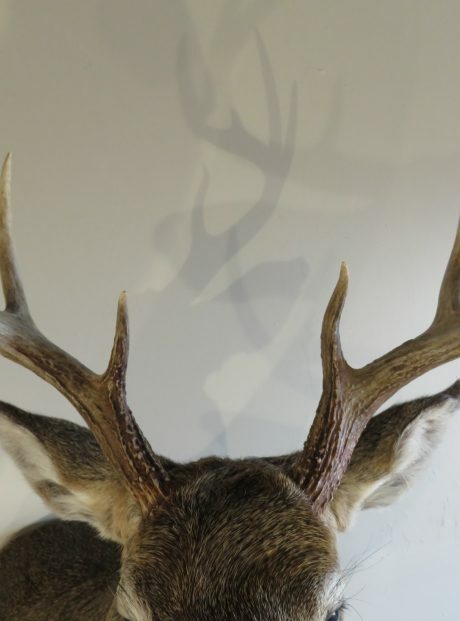 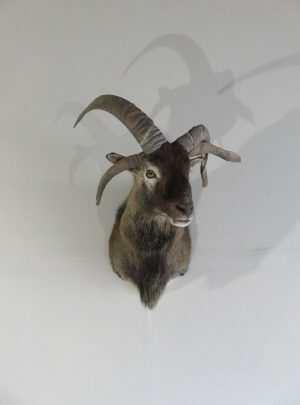 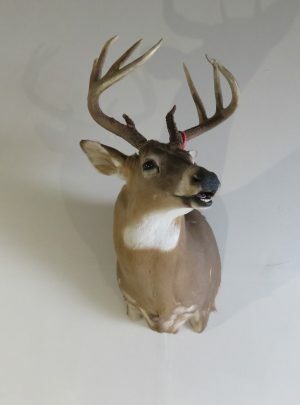 Very good quality taxidermy work combined with an average rack for Whitetails earn this mount a score of “Excellent”. 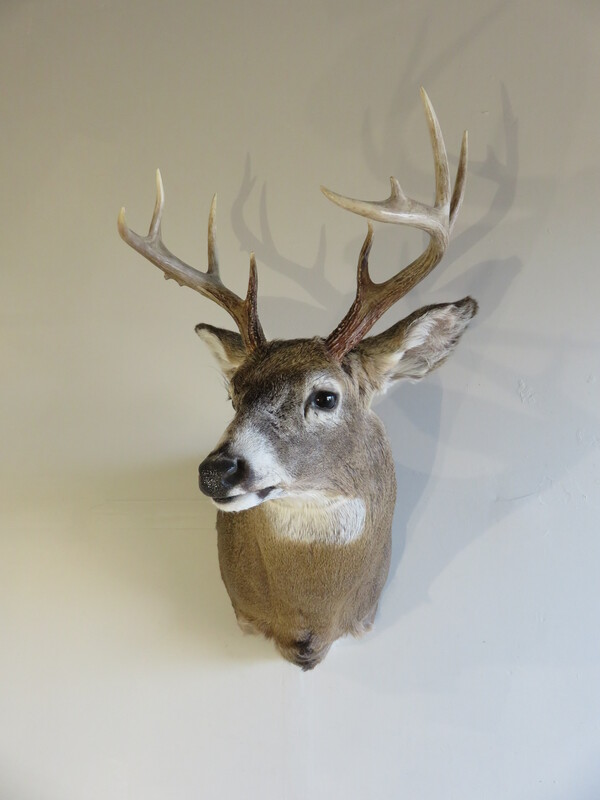 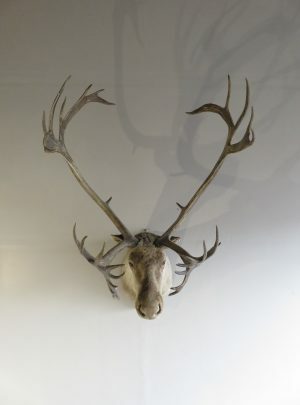 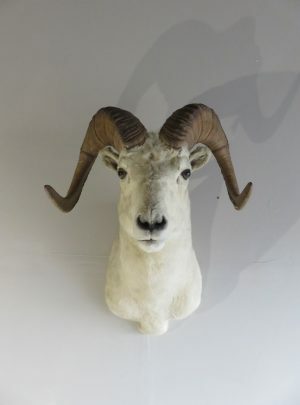 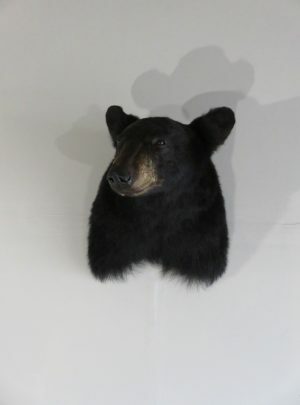 A great piece to add to a collection of North Americas big game mounts or as a stand alone piece for the home or office. 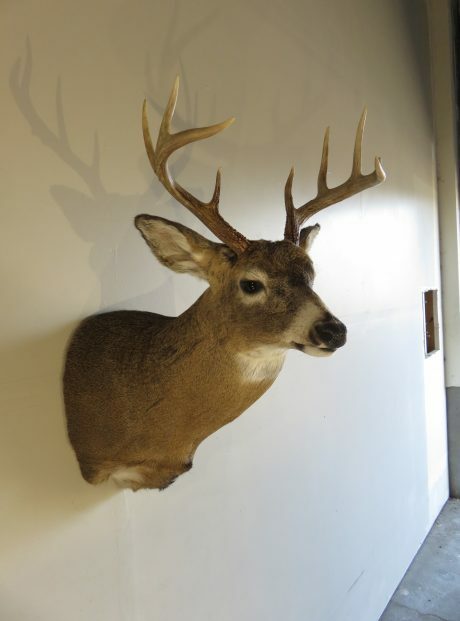 Overall mount dimensions are: 25″ deep x 19″ wide x 31″ high.